You are here: Home / Christian Life / Can’t believe I forgot the towel! Can’t believe I forgot the towel! A few weeks ago I wrote about God’s perfect plan of redemption, in a post titled “A perfect plan & a tree“. It was a post I was particularly excited about for its creativity and message. But today as I prepared for the Passover Seder that we celebrated at The Bridge, and began reflecting on Jesus’ last supper with His disciples before His crucifixion, I realized I missed a hugely important part of God’s redemption. Sure redemption is for you and for me. 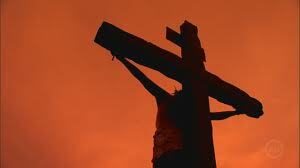 The forgiveness of sins, the price paid, the hope we have because of His sacrifice – those are all vitally important. The empty tomb is the ultimate symbol of our salvation. But redemption doesn’t end with us celebrating beside the empty tomb. 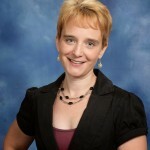 There’s a greatly important next step that we tend to overlook – it’s the step that requires a towel….a serving towel. Can you picture Jesus kneeling before each of His disciples, washing their feet? 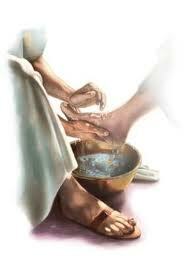 Foot washing was reserved for servants – it was hardly something expected from the King of Kings and Lord of Lords. But Jesus served. Jesus came not only as the Redeemer but as a Servant. He came to serve, not to be served. And He calls us to do the same. The Lord set us an example to follow as He put a serving towel over His arm, and washed the dirty feet. “The greatest among you should be like the youngest, and the one who rules like the one who serves.” (Luke 22:26) Redemption was never intended to stop with you and with me. The tree I first wrote about in “A perfect plan & a tree” that became transformed from temptation, to a manger, to a cross, and to a healthy growing tree that witnessed the resurrection becomes transformed once more. But this time, you get to choose what it becomes. Perhaps the tree is transformed into a baseball bat as you coach a youth team in your community. Maybe it becomes framing lumber for much-needed repairs on your neighbor’s house. Perhaps it becomes a chair to sit upon when you visit the lonely, forgotten elderly and veterans in your local retirement home. Or it may even be the wood floor upon which you kneel daily to pray for the leaders, teachers, business owners and youth of your community. As you prepare to celebrate Easter this weekend and reflect on the meaning and significance of Christ’s sacrifice on your behalf, consider too how your redemption can be taken one step further. How can you follow the example Jesus gave on the night of the Last Supper? How can you place a serving towel over your arm, and serve others in humility and love?